Let me start by stating the obvious: you need to have a business development strategy in place to achieve your goals and grow your business. Their stories are pretty much the same. The founders started the company with already some clients that needed their product or service. Then those initial clients referred more clients. So the company grew. The management team hired more people to withstand the workload and so on. But there is no long-term vision. There is no high-level strategy in place to achieve sustainable growth. They don’t have a business development plan in place. No milestones. No budget. No target markets analysis. No marketing strategy. It’s like wandering in dense fog without a light. A company can easily get lost and fall in a ditch. So, I put together this short list to help companies create a more systematic approach to business development. Step 1: Set your objectives. What do you want to achieve? What is your revenue generation target? Do you want to make 1 million a year in recurring revenue? Or sell 30000 units of your product? If you want to achieve it, you need to set a precise goal. Otherwise, it will be like wrestling a greased pig in the mud. Step 2: Define your budget. It’s another cliché, but you need money to make more money. Look at your gross revenue, remove the fixed costs like salaries and office costs and keep something on the side for the rainy days. What is left should be reinvested in your biz dev efforts and marketing planning. Step 3: Define your target audiences and what they want. As I like to say, you can go fishing for sharks in a lake, but you will probably catch only trouts. If you want to reach your target customer, you need to know where to find her/him and how to appeal to her/him. You need to create as many buyer personas as you need to address different kinds of applications that your product or service has. it’s important to remember that what you offer is appealing to people for different reasons. You need to find them all. Hubspot created a delightful guide, with a template, on “How to Create Detailed Buyer Personas for Your Business”. You should check it out. Step 4: Define the channels you want to use. After you have defined whom you want to talk to, you have to pick the channels, the strategies and the tools to reach them. For most B2B companies, the best social media to use is LinkedIn. Because 80% of B2B conversions on social media are made on LinkedIn. The benefit of LinkedIn is that you can reach the decision-makers in both large and small businesses. In case you need help generating new leads on LinkedIn, we can help you with that. But you can’t rely only on that. You need other strategies in place to attract, nurture and retain your current your target audience. A great way to do it is content marketing. Having a content strategy in place will benefit your business greatly. According to Neil Patel, year-over-year growth in unique site traffic is 7.8x higher for content marketing leaders compared to followers. Another effective channel to consider is the good ol’ networking events. You can’t really skip those. Step 5: Define your KPIs (Key Performance Indicators) and how you are going to monitor your ROI (Return on Investment). You need to define what are the metrics that matter for your business. An obvious one is the number of sales. But others could be the number of connections in your network that you can nurture through your content marketing. Others could be the number of subscribers to your mailing list or the number of people in your Facebook group. KPIs vary from business to business, identify yours and put a system in place to track them. Another crucial aspect to keep in mind is your ROI. It shows how effective your current strategies are and it will indicate if you are going in the right direction. With our Social Selling services, we bring to our clients an ROI of 5x to 10x. Step 6: Define your sales process. When you reach this point, you know which position your decision makers have, which industry they work in and on which channel you are going to reach out to them. Now, You need to set a sequence of action steps that you can easily replicate. It’s undoubtedly the most boring part of the job. You have to source prospective leads. Get to know them and their company. More information you can gather, better it is. The goal is to try to understand from which angle you can approach the conversation and identify what THEIR problems are so that you can personalize your pitch. Intelligence is gold. When you are going to talk to them, do not start by pitching your product. NOBODY likes to receive a standardized pitch. The initial call is mostly ABOUT THEM, not about you nor your product. You have to understand if you can help them. If your service is not helpful, be honest, tell them and let them go. Trying to go for a hard sell will only arm you and your company’s reputation. But, if your service can provide value to them. Go for it. If you think that the prospecting and the connecting part are boring and take away too much of your time that you can spend doing what matters the most for you, closing sales, for example, get in touch with us, we can help you with that. Step 7: Put everything into action and keep an eye on the results. Now you are good to go! You have everything that you need to create a Successful Business Development Plan! Go and enjoy some growth gone wild! A Business Development Plan is the cornerstone of your future success. You have to keep in mind, however, that you shouldn’t build a plan that is too rigid. Being adaptable is one of the essential qualities that you will need to survive the never-ending changes in the market. 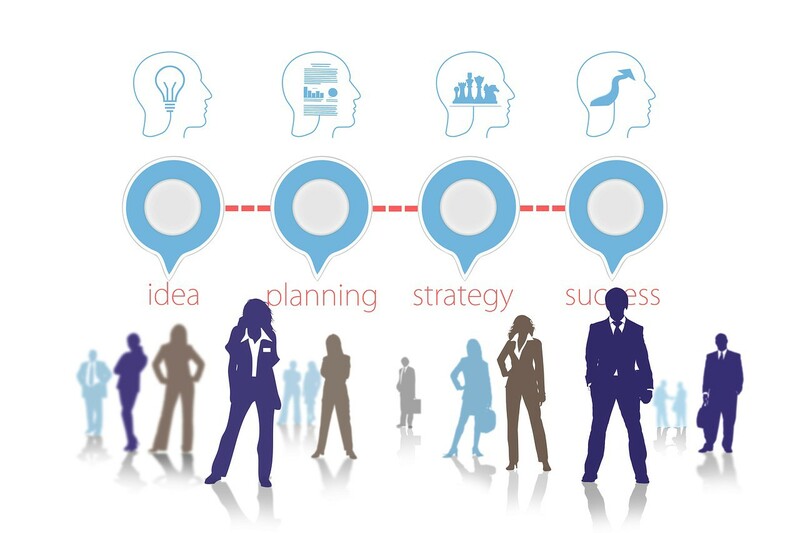 What other steps would you add to create a successful business development plan? COO @ V3 Digital | Social Selling | Sales Revolution | Optimization & Scalability Advocate.